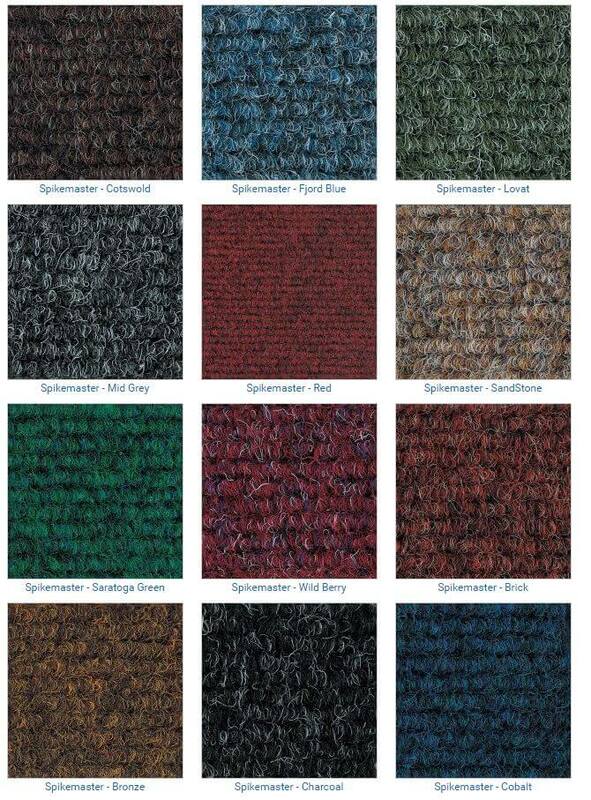 Spikemaster carpet tiles are made from 85% Polypropylene 15% Polyester. A range of colours are available. Can be used indoors and out. Ideal for Driving Ranges, Pro Shops, Changing Rooms and Golf Academies. Spikemaster spike-proof carpet tiles are made from 85% Polypropylene and 15% Polyester. A range of colours are available. Contact us or Email for installation costs and availability. Price is per Square Metre, Delivery included. Ideal for Golf Pro Shops, Changing rooms, Academies and Golf Driving Ranges. A heavy duty dense pile, spike resistant contract carpet tile. 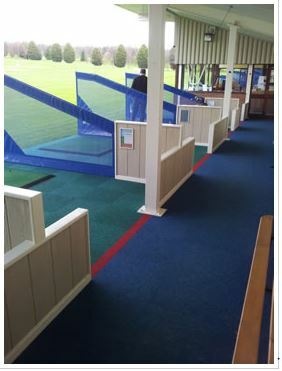 This anti static, modern range is ideally suited for use in golf and sports clubs where a heavy contract, easy to lay and maintain and aesthetically pleasing floor finish is required at a low installed cost. A first choice in specification. All types of public and private sector sports buildings including golf clubs, driving ranges, cricket, hockey and rugby pavilions, changing rooms and sports shops.